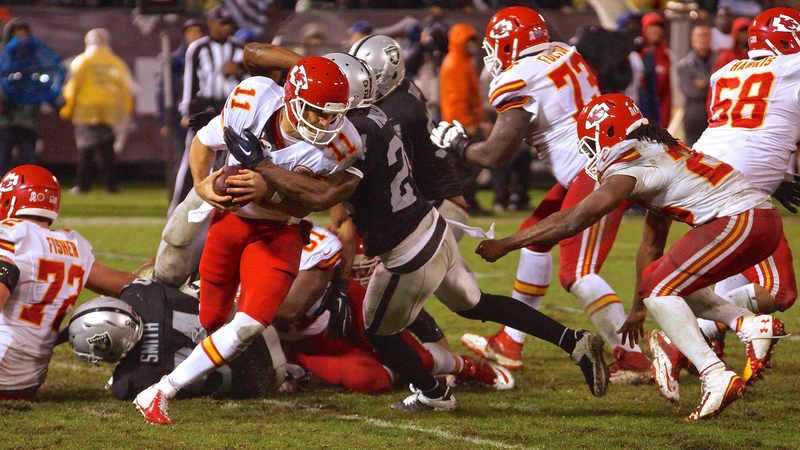 ALAMEDA, Calif. – The Oakland Raiders will introduce new talent for the team’s three locally televised preseason broadcasts in 2015. Veteran announcer Beth Mowins will handle the play-by-play duties and will be joined in the broadcast booth by Tim Brown, a member of the Pro Football Hall of Fame Class of 2015, and former Raider and veteran television commentator Matt Millen. Nicole Zaloumis will provide sideline analysis, and JT the Brick will return, serving as host and sideline reporter for the telecasts. 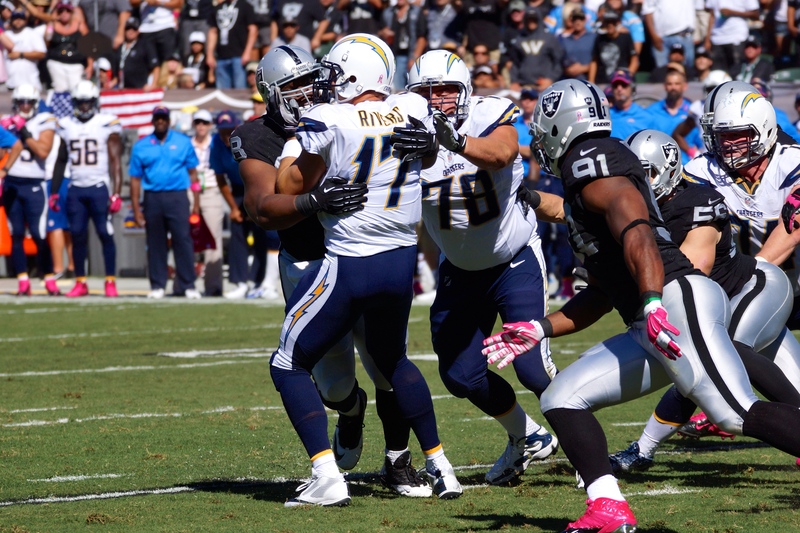 Silver and Black Productions, the Raiders’ Emmy Award-winning in-house television production team, will produce and broadcast three of the Raiders’ four preseason tilts via FOX affiliate KTVU-2/KICU-36, beginning with the team’s preseason opener against the St. Louis Rams on Aug. 14 at O.co Coliseum. 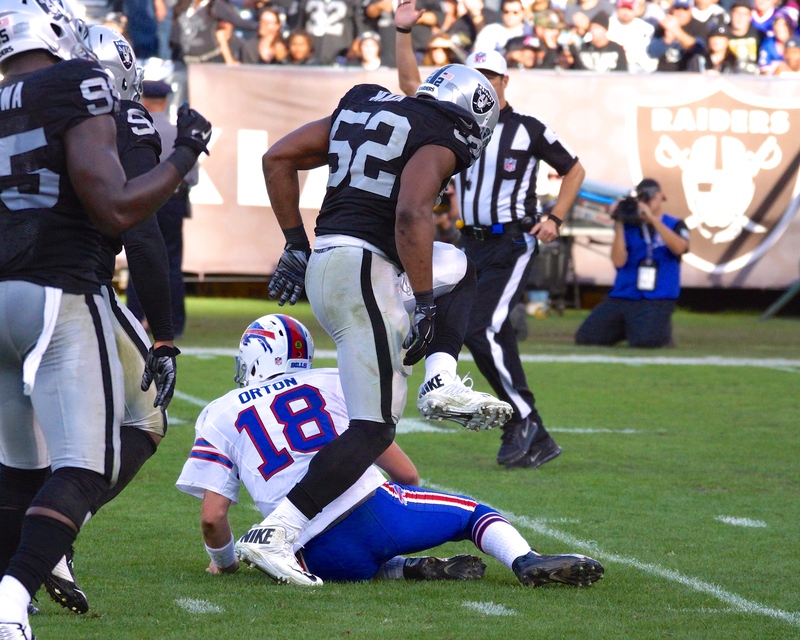 The Raiders will travel to Minnesota for a preseason contest on Aug. 22 before returning home for a nationally-televised game against the Arizona Cardinals on Aug. 30, to be broadcast on NBC’s Sunday Night Football. 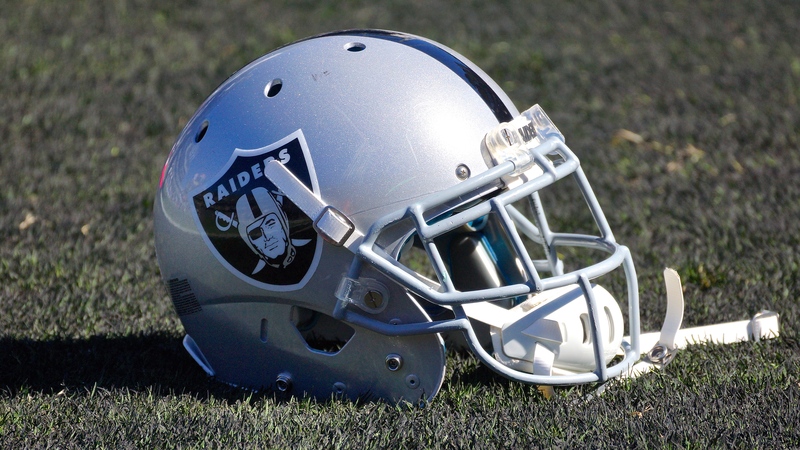 Oakland closes out the preseason with a road game at Seattle on Sept. 3. Mowins has worked with ESPN since 1994, beginning as a commentator for women’s college basketball. She began calling college football on ESPNU in 2005, and currently commentates on NCAA Championships in basketball, softball and volleyball in addition to regular season college football and men’s and women’s basketball. 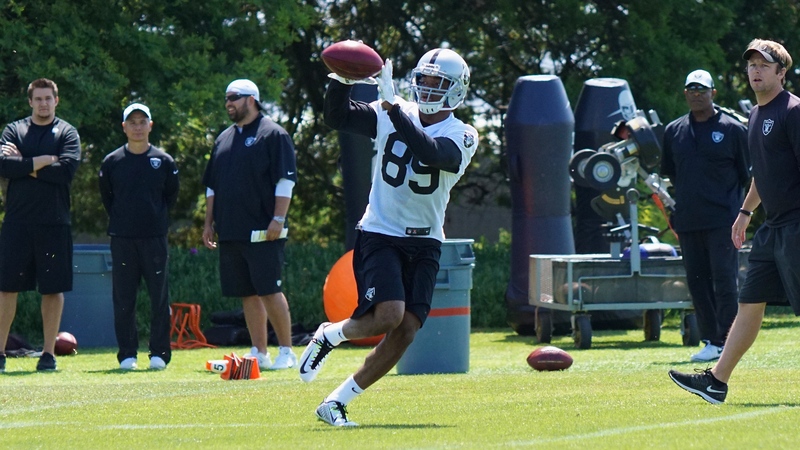 Brown, who was selected for induction to the Pro Football Hall of Fame in January, played 16 seasons for the Raiders from 1988-2003 and is the fifth-leading receiver in NFL history with 1,094 catches. The 23rd Raider elected to the Hall of Fame, Brown ranks sixth all time in receiving yardage (14,934) and scored 105 career touchdowns. In 2012, Brown joined SiriusXM Radio as a football analyst and host and he currently is a college football analyst for ESPN, as well as a co-host on a CBS radio affiliate in Dallas. 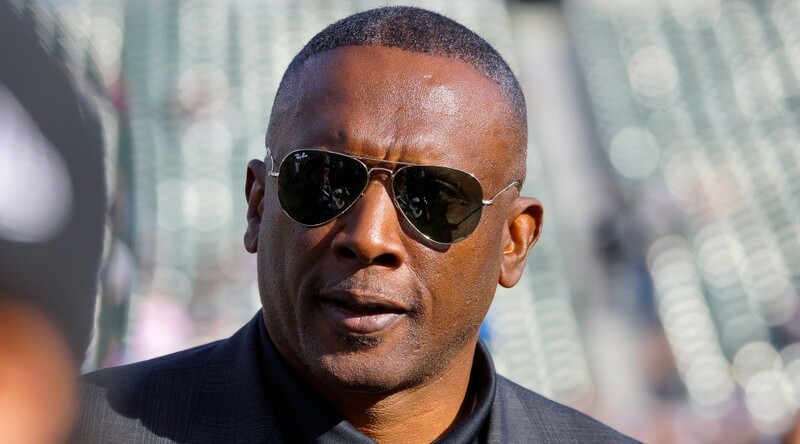 Millen, who entered the NFL as the Silver and Black’s second-round pick in 1980, played 12 seasons with the Raiders, 49ers and Redskins, and was a part of four Super Bowl winning teams. Following his playing career, Millen was an NFL commentator for both CBS and FOX before becoming President and CEO of the Detroit Lions from 2001 to 2008. He returned to broadcasting in 2009 with ESPN, covering both the NFL and college football. 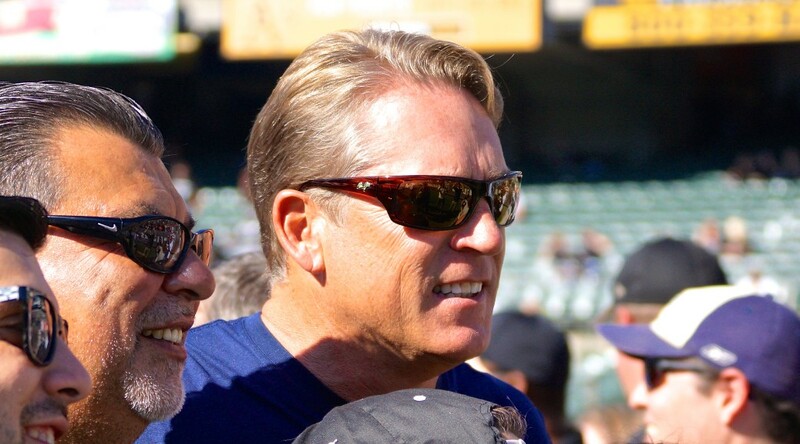 He has also served as an analyst and color commentator for NBC, the NFL Network and Westwood One radio. He returned to FOX Sports in May 2015 as the lead game analyst for the Big Ten Network. Zaloumis is currently the SiriusXM host of B/R Spotlight on Bleacher Report Radio after previously serving as co-host on the NFL Network’s NFL AM show from 2012-14. A Bay Area native, Zaloumis was a host and sideline reporter for the Big Ten Network prior to a stint Comcast SportsNet New England, where she was a main anchor and reporter on the network’s daily show, “Chevrolet SportsNet Central.” She was also a host and reporter in Phoenix and Washington, D.C.
JT the Brick currently hosts a nationally-syndicated talk show on FOX Sports Radio. 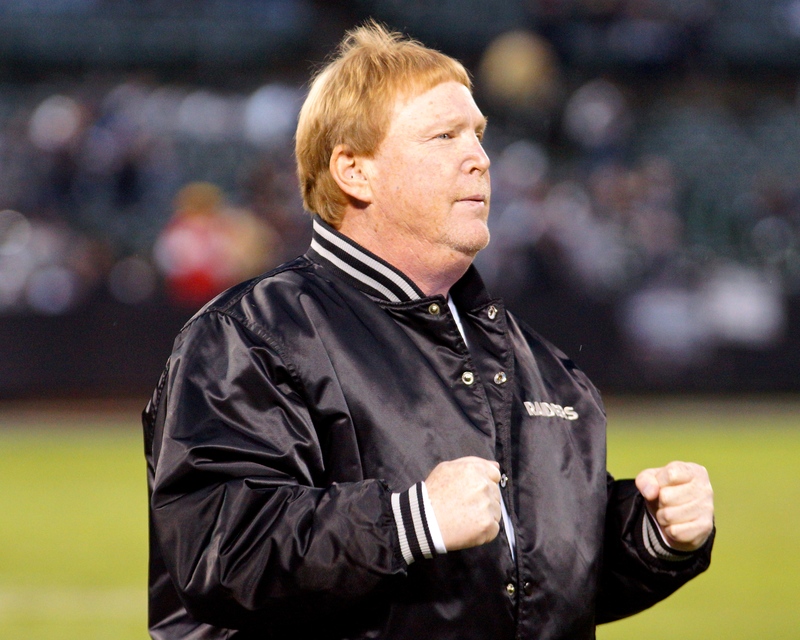 He has handled preseason sideline reporting duties for the Silver and Black since 2008, has served as the host for the “Raiders Report” television show, and has appeared on numerous national radio and television broadcasts. SAN JOSE, CA. – The San Jose SaberCats (15-1) will host National Conference rivals, the Arizona Rattlers (13-3) on Friday, July 31st; kickoff is set for 7:30pm PDT and the game will be on CBS Sports Network as well as 1220AM KDOW. With a win, San Jose would clinch the top seed in the National Conference, giving them home field advantage in the opening round and conference championship game. 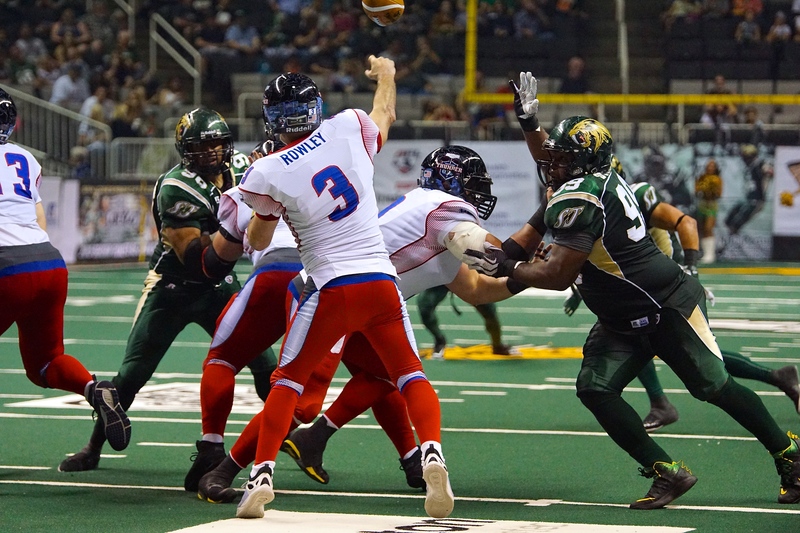 The showdown will feature the past two Arena Football League Most Valuable Players in quarterbacks Erik Meyer and Nick Davila. 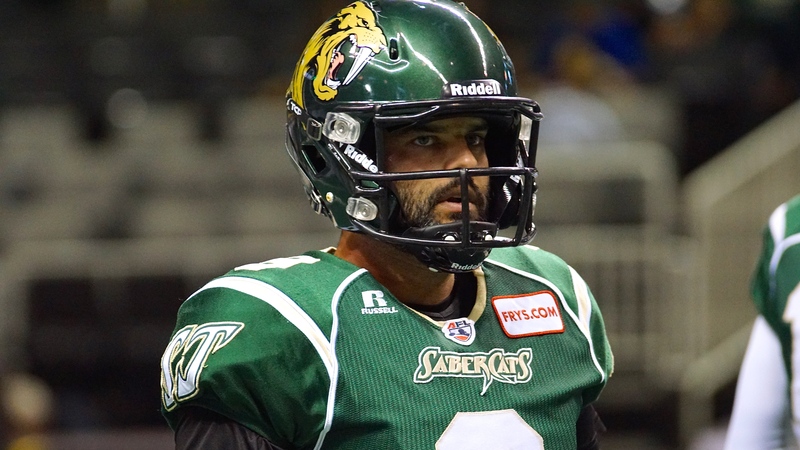 In their last game, the SaberCats erased a 20-point deficit to comeback for a wild, 55-49 overtime victory over the Portland Thunder. Meyer paved the way, completing 68-percent of his passes, adding eight touchdowns and the go ahead score to receiver Ben Nelson. Meyer’s 83 touchdowns rank fifth in the AFL and are the second most in a season for his career. 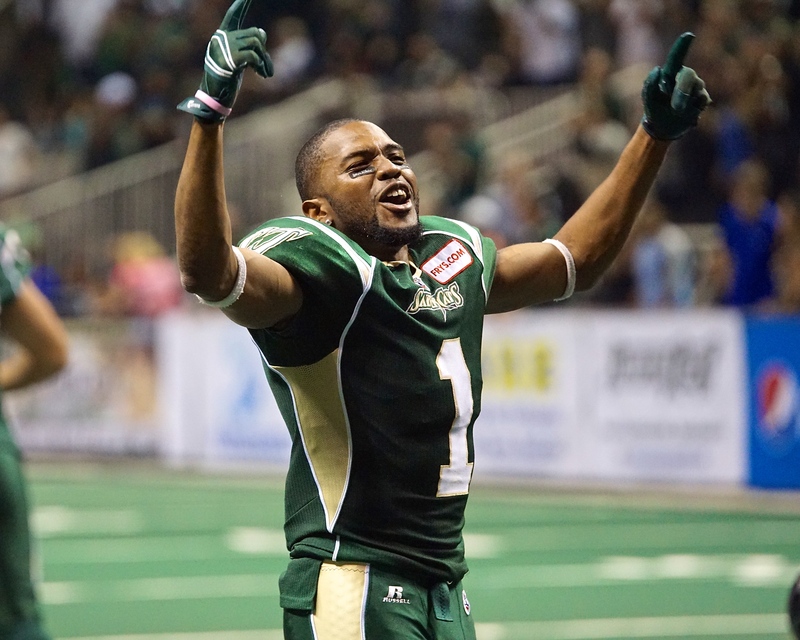 In the win over the Thunder, receiver Reggie Gray broke the SaberCats franchise record for receptions and touchdowns in a single season. Gray leads the league with 44 touchdowns (41 receiving) and 147 receptions, propelling the SaberCats offense to an average of 59.1 points per game, trailing the Philadelphia Soul by six points (59.4) for the top mark in the AFL. Meanwhile, The Rattlers held off a second half rally by the LA KISS, en route to a 68-55 victory on Sunday. Davila, who missed the first matchup earlier this season in Arizona, has thrown seven or more touchdowns in each of the past three games. 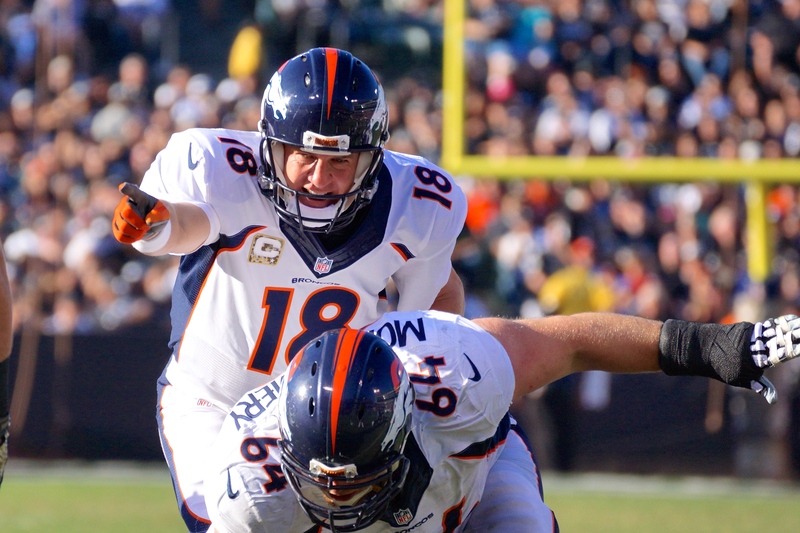 The reigning league MVP has 79 touchdowns and nine interceptions in 12 games this season. Davila’s favorite target Rod Windsor, earned Week 16 AFL MVP honors with 113 receiving yards and four touchdowns against the Las Vegas Outlaws and is carrying a streak of 25 consecutive games with a touchdown. The fifth year receiver has 126 receptions 1,611 yards and 34 touchdowns, averaging 115.1 receiving yards per game this season. After being activated last week, fellow receiver Chase Deadder grabbed a game-high four touchdown receptions, including three in the fourth quarter to hold off the KISS. Deadder increased his total to 14 receiving touchdowns on the season and along with Kerry Reed, who has 23 touchdowns, the Rattlers rank third in scoring offense (56.7 points per game). 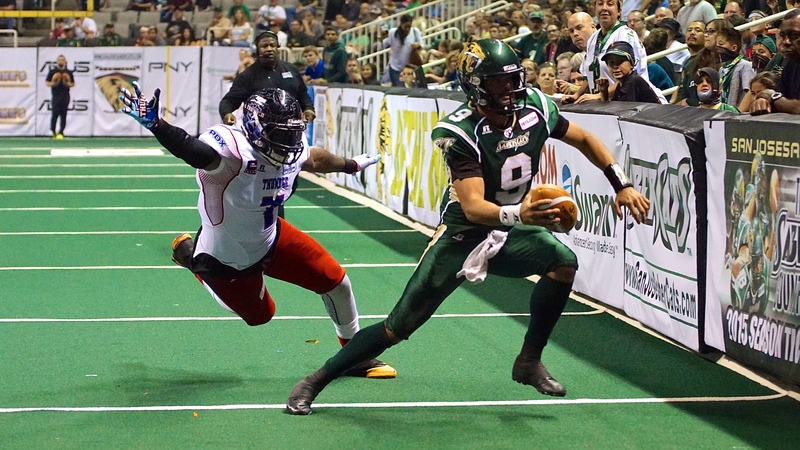 Though the Rattlers have a potent offense, the SaberCats’ defense has stifled their opponents. Through 16 games, San Jose has surrendered a league-low 37.2 points per game and have held six of their opponents under 30 points. San Jose is led by standout defensive back Ken Fontenette, whose 138.5 tackles is a new franchise single-season record and leads the AFL. 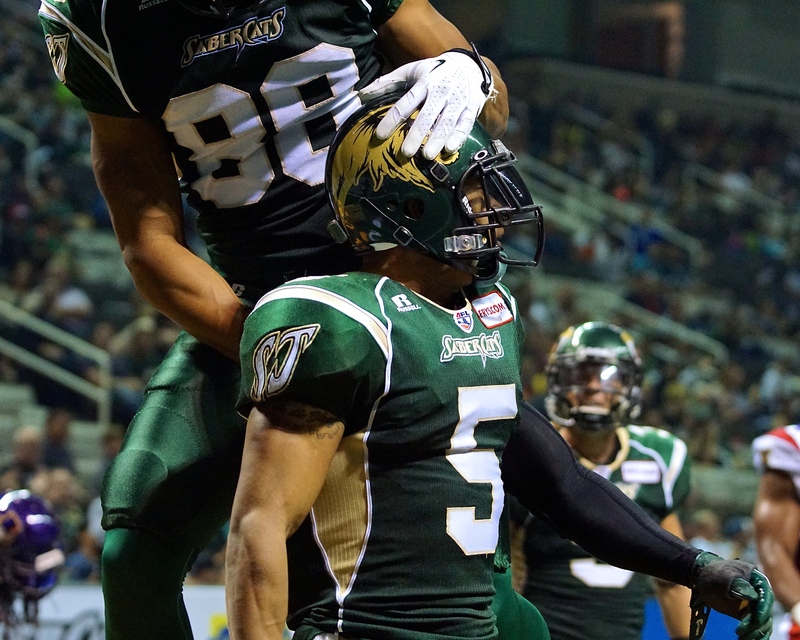 The veteran duo of Francis Maka and Jason Stewart has propelled the SaberCats to a league-high 40 sacks this season. 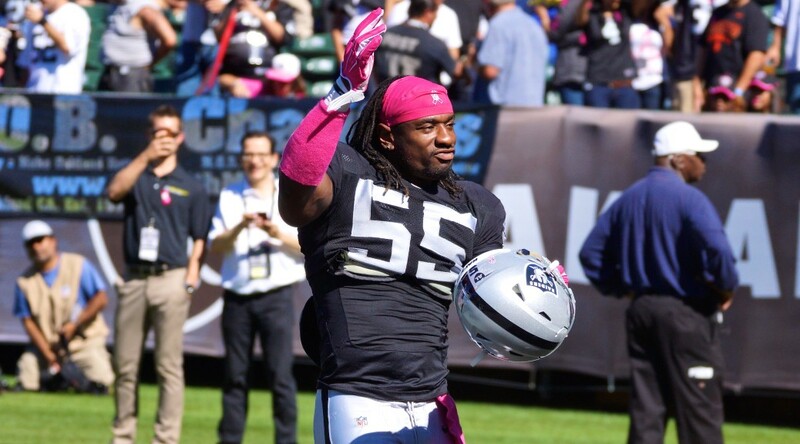 Maka is second in the AFL with 10.5 sacks and is currently San Jose’s all-time franchise sacks leader. 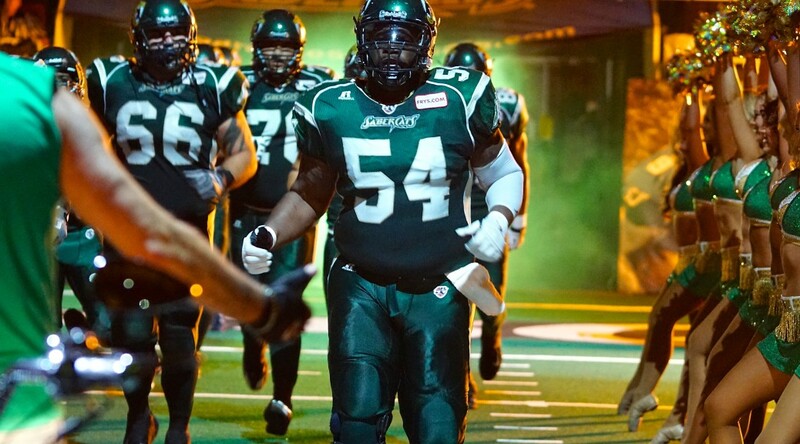 Stewart, the 2014 AFL Defensive Player of the Year, has 10 sacks and a total of 20.5 tackles to go along with a forced fumble and recovery. With the combination of ball hawks in the secondary and elite pass rushers, the SaberCats defense will be in a battle against the top scoring offense they have faced this season. Similarly, the Rattlers have a tremendous defensive back and pair of pass rushers sure to disrupt the flow of any offense. Jeremy Kellem leads the team with 87.5 tackles and leads the AFL with 13 interceptions and 31 pass breakups. Meanwhile, Tyre Glasper has been a force for Arizona’s pass rush. In his fifth season with the Rattlers, Glasper has set a career-high with 13 tackles for a loss and his 10.5 sacks are tied with Maka for second in the league. Glasper also had his first interception of the season against the KISS this past week. Defensive end Michael McAdoo is second on team with nine sacks in just 12 games, as the Rattlers rank second in scoring defense, giving up an average of 45.7 points per game. With two games left in the regular season, San Jose is on the verge of matching the 2014 Cleveland Gladiator’s record mark of 17-1 and clinching the top seed with a win over the three-time defending ArenaBowl Champions. 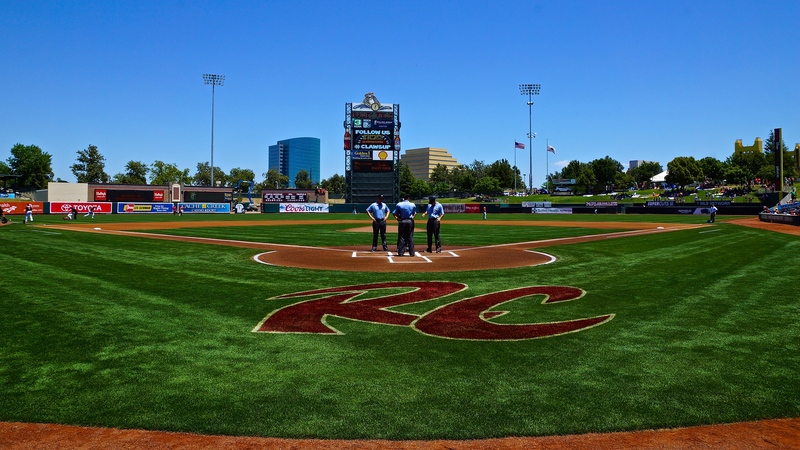 WEST SACRAMENTO, Calif. – The official scorer announced a game time temperature of 102 degrees – a new season-high for Sacramento – but the Las Vegas 51s brought their own heat to Tuesday’s series opener. 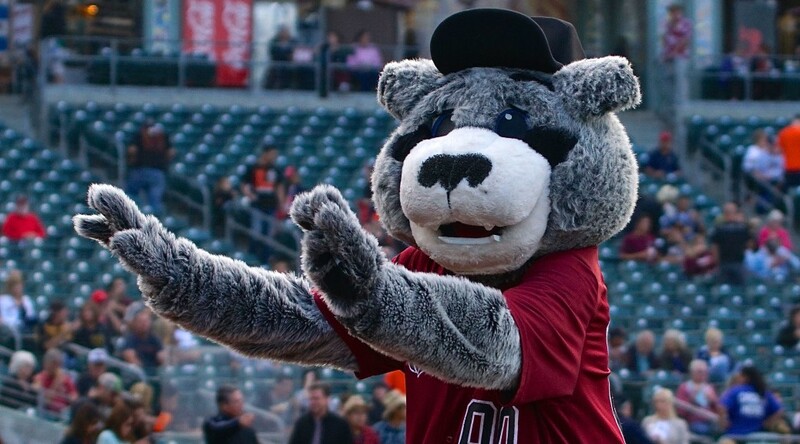 The Sacramento River Cats watched as Las Vegas jumped ahead 4-0 in the top of the first and were unable to do anything to slow the rolling 51s, falling 14-2 Tuesday night at Raley Field. Tommy Hanson (0-4, 8.22) made his fifth start for the River Cats and immediately found himself in a hole. The 51s wasted no time in tagging the right-hander for four runs, taking advantage of three hits, three walks, a wild pitch, and an error. Hanson needed 37 pitches to get out of the inning and was helped by his infield, as third basemen Kevin Frandsen picked a hard-hit ground ball to start an inning-ending double play. Las Vegas was far from done, however, and would get to the River Cats staff for 14 runs on 15 hits before the game was over. They also drew nine walks in the contest, tying the most allowed by the River Cats this season. Sacramento’s offense continued to struggle at home, further emphasizing the growing difference in the team’s home/road splits. 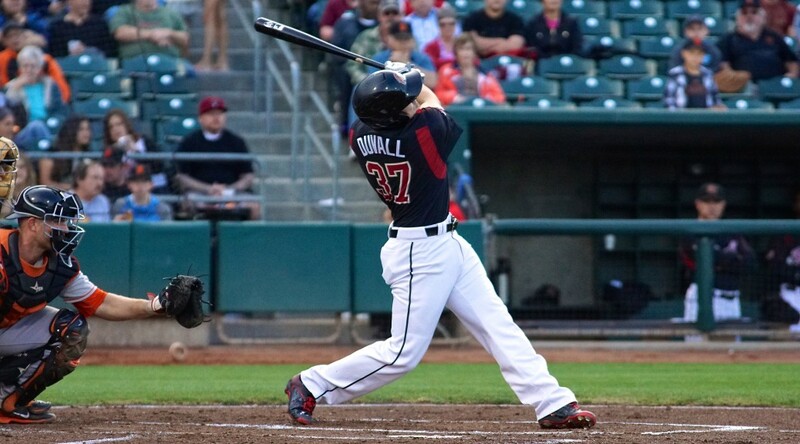 Coming off a decisive doubleheader sweep in which the River Cats scored 20 runs on 30 hits in 14 innings, they managed just 2 runs on 7 hits in Tuesday night’s loss. 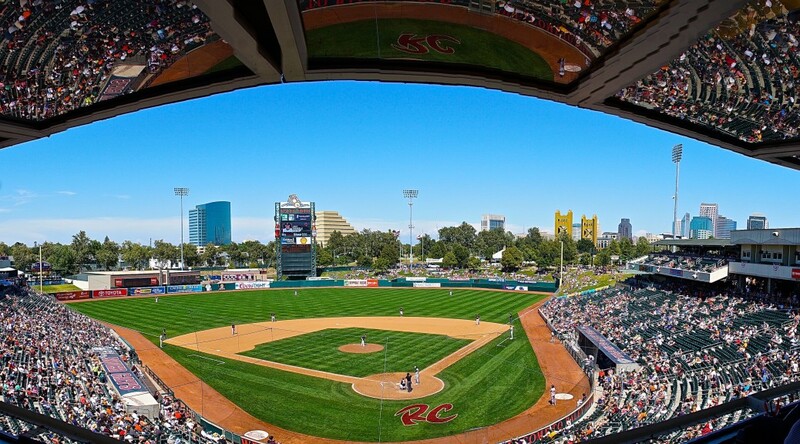 For the season, the River Cats are hitting an excellent .308 with 53 home runs and 284 runs scored on the road (51 games). At home, they are hitting just .238 with 35 homers and 180 runs scored (53 games). Sacramento was unable to generate any significant offense against Las Vegas’ right-hander Dillon Gee (5-1, 5.44), who threw a complete game for the 51s. Gee needed 99 pitches (69 strikes) in the outing, and allowed two runs on seven hits while striking out five and walking one. Juan Perez found success against the 51s’ right-hander, going 2-for-4 with his 22nd double of the season. He also scored Sacramento’s second run on a Frandsen groundout in the seventh inning. The first Sacramento run came in the third inning when Frandsen scored on Kelby Tomlinson’s infield single. 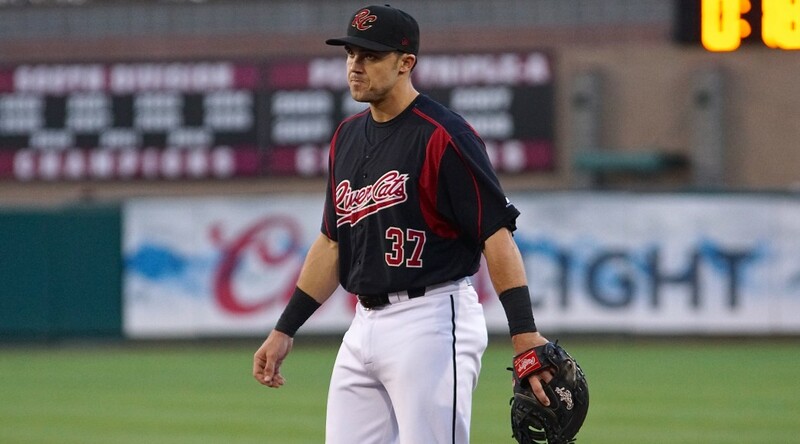 It was Tomlinson’s 11th RBI with the River Cats. Sacramento will look to bounce back tomorrow night behind their young right-hander Clayton Blackburn (5-3, 3.84). 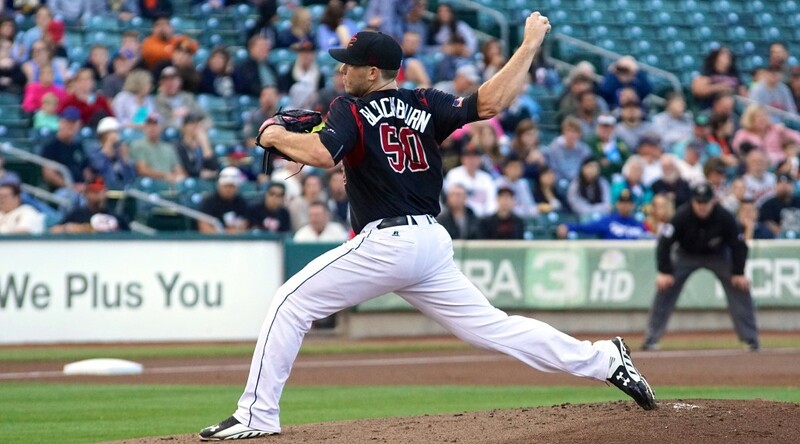 Blackburn, the third River Cats pitcher to reach five wins this season, has won his last two straight starts. Opposing him will be Las Vegas’ righty Tyler Pill (2-6, 7.60). First pitch is set for 7:05 p.m. and the game can be heard live online at rivercats.com and on the air on ESPN 1320.